THANKSGIVING IS A WEEK AWAY! yay! my favorite day of the year is so very close I can’t wait! 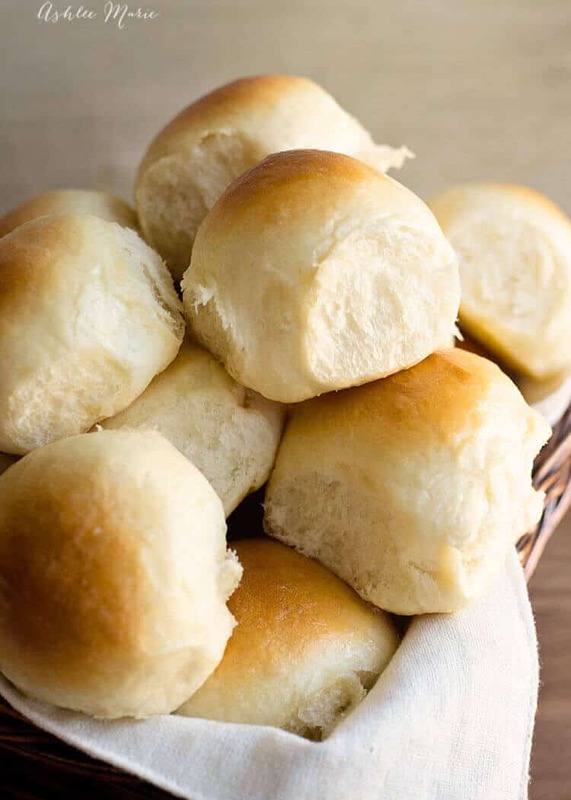 SO I’m obsessed with bread – esp dinner rolls, but it’s the one thing I don’t have a favorite of! I have my Favorite way to cook a Turkey, my favorite Gravy, Potatoes, etc… BUT I’m constantly experimenting with rolls! THESE were the HIT of last years Thanksgiving AND I’m repeating them this year they were SO good! So these are actually a Kings Hawaiian copycat recipe! Anyone else a huge fan! As much as I love baking bread rolls are the one thing I often simply buy since I didn’t have a favorite! And this brand has been my go to, but NOW I can make my own, WINNING! Slightly sweet with a hint of Hawaii from the pineapple juice – my kids DEVOURED these – making a quadruple batch this year! I love making videos so you can SEE the texture you want the dough – literally this is sticky! 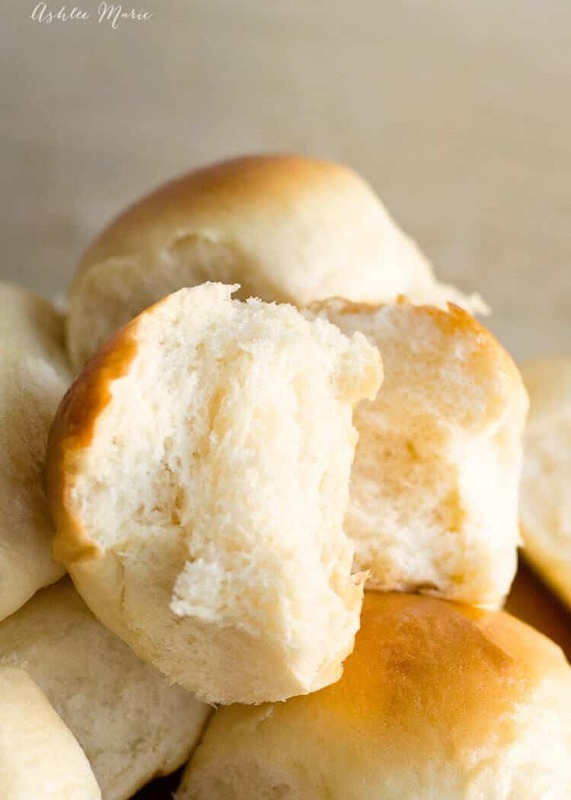 I’ve learned from years of tough rolls that you simply can’t add so much flour that the dough is easy to handle – sticky = soft rolls, so go with it! embrace messy hands! brush the rolls with the melted butter - serve! 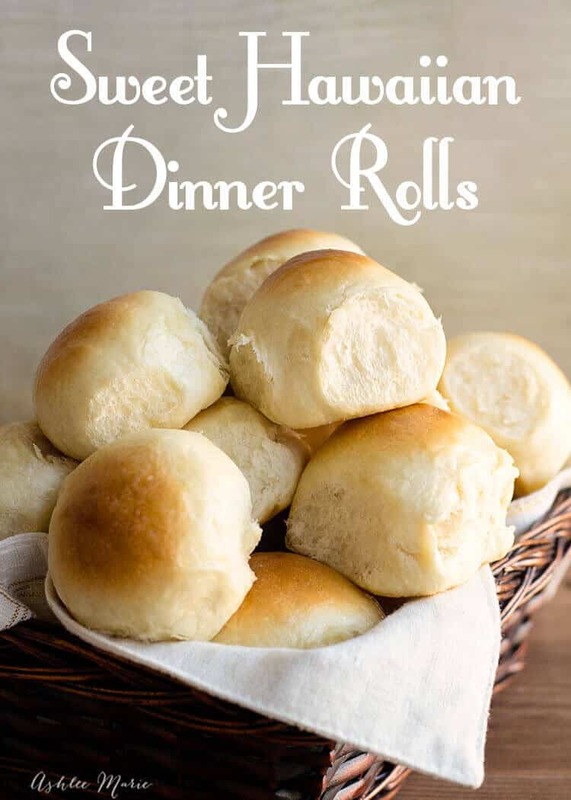 Awww yeah….. these rolls are AMAZING!!! SERIOUSLY! So what is YOUR favorite bread to make? 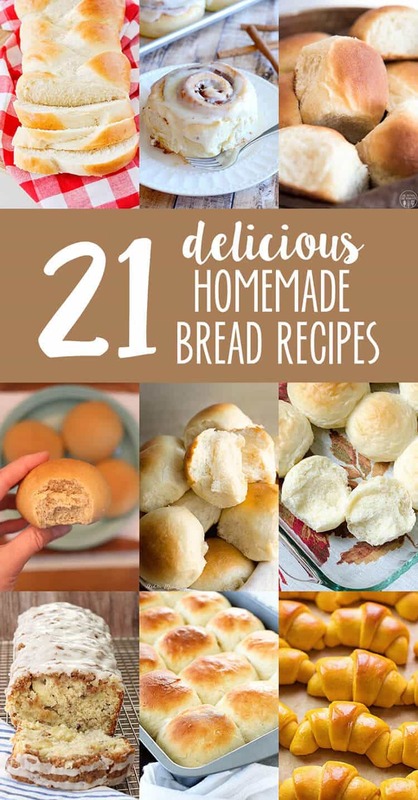 AND if, like me, you like to enjoy ALL THE CARBS check out these 20 other bread recipes for Homemade Bread day! I LOVE Hawaiian Sweet Rolls!!! I can’t wait to make your homemade version! Pinned! The homemade version is always better! Can’t wait to try these with some sliders! At the risk of sounding, well, bread-making-challenged(I am;-)), do you roll the dough into a basic ball or another roll type of shape? as you can see in the video I roll them into balls! Please claireif you can tell me, what brand of mixer is that in the video? Thank you. Hi! I’m new to your site. What kind of mixer are you using in the Sweet Hawaiian Rolls video? Hi, just wondering can I freeze these rolls? Baked or in dough form? I freeze rolls after shaping before a second rise – then when you bring them out of the freezer let them thaw/rise at the same time! then bake!